The AES is pleased to announce that Avid Chairman, President, and Chief Executive Officer Louis Hernandez Jr. will give the keynote speech at the 57th International Conference, taking place in Hollywood, California, March 6-8, 2015. The Conference, being held at the TCL Chinese 6 Theatres on Hollywood Boulevard, will feature some of the best in the world of engineering for entertainment production, as the AES holds its event on The Future of Audio Entertainment Technology. Hernandez will present his keynote address on March 6, at 8:00 AM. In his role at Avid, Hernandez served both as lead Director and member of the Board of Directors for five years before taking on his current role as Chairman, President, and Chief Executive Officer, giving him a presence in the industries that directly serves the Sound-for-Picture and Media audience. 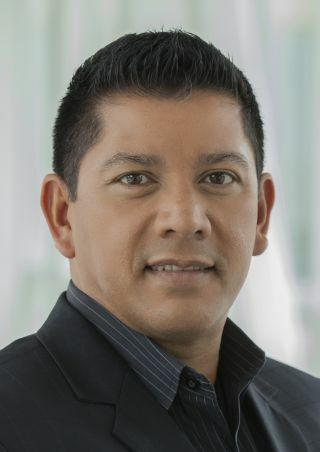 Hernandez also oversees Avid’s strategic investments in product innovation, solutions, and services that help content creators and media organizations better connect with and inspire their audiences. Avid’s sustaining membership and participation in the AES, combined with Hernandez’s focus on technology initiatives that enable the active collaboration, will offer a unique perspective for the AES 57th Conference keynote address. Early Registration pricing is still available through February 5, and reduced rates apply for AES members.